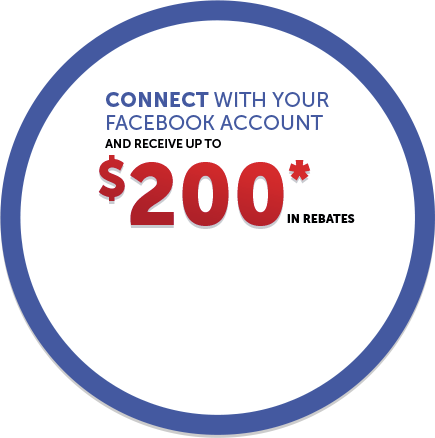 *This offer cannot be combined with any other offer. Your information will not be shared with any external companies. Hello , welcome to MINI Ottawa! Ah, the Mini Estate: many a childhood was spent in the wood-paneled version of the loveable little run-about-town hatch. Those childhood memories were brought back to life in 2007, when MINI launched the Clubman, a direct descendent of the Estate. Complete with barn-door rear openings, and a sneaky third door on the passenger side for easier access to the back seats, the Clubman also opened all new doors for MINI buyers in need of more cargo space (who weren’t willing to skimp on the MINI go-kart experience). Well, after a few years’ hiatus, the MINI Clubman is back. MINI’s teased the release of their brand new 2016 MINI Cooper Clubman, much to the delight of MINI lovers (and soon-to-be lovers) around the globe. With brand new exterior looks that follow the new look of the MINI Cooper hatchback and MINI Cooper 5-door, the 2016 MINI Cooper Clubman sports stylish and modern new front headlights as well as a brand new redesigned rear with bold taillights and a Clubman displayed proudly across the barn-door hatch openings. 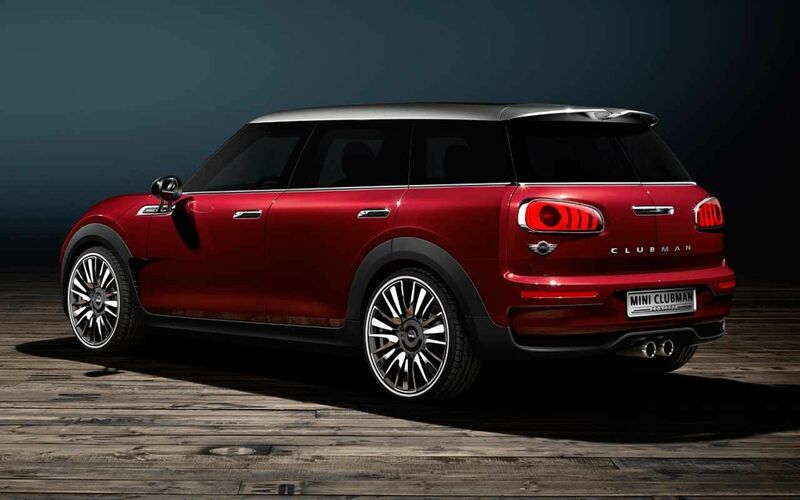 Most notably, the 2016 Clubman is nearly a foot longer and about 5” wider, making it larger than the Countryman. There’s also the nifty addition of two proper doors, not just the suicide door it used to sport. That added length means there’s 360 litres of cargo space behind the rear seat. Just like the new MINI Cooper hatchback and Cooper 5-door, the 2016 MINI Cooper Clubman will sport the 1.0L 3-cylinder turbocharged mill as a base engine good for 134 horsepower and 162 lb-ft of torque. The Cooper S Clubman will get the 2.0L 4-cylinder turbocharged engine good for 189 horsepower and 207 lb-ft of torque. 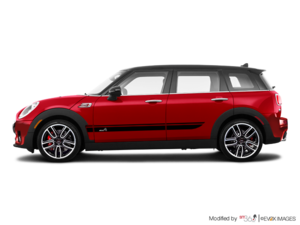 The base 3-cylinder model can be had with a 6-speed manual transmission, and the Cooper S Clubman version will have an optional 8-speed with launch control -- because you’re going to want to see how quick your 2016 MINI Cooper Clubman actually is. Brand new for 2016 is the introduction of an electronic parking brake. If the Countryman taught buyers anything, it’s that a larger, longer, and more capable MINI does not hinder the vehicle’s drivability (read: it’s still a go-kart on the road!). The 2016 MINI Cooper Clubman is set to be just as thrilling and smile-inducing as the hatchback and new 5-Door have proven to be. 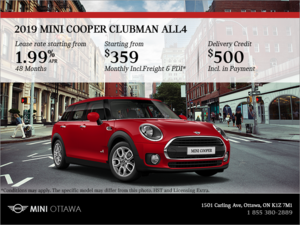 To find out more about the brand new redesigned 2016 MINI Cooper Clubman, head down to MINI Ottawa today to talk to one of our experts. And you’ll definitely want to book a test drive when these little (or not so little anymore) guys hit the dealers.